ICTO - FAQ » Communication & Collaboration » UM URL Shortener » What is Link Scan in UM URL Shortener? 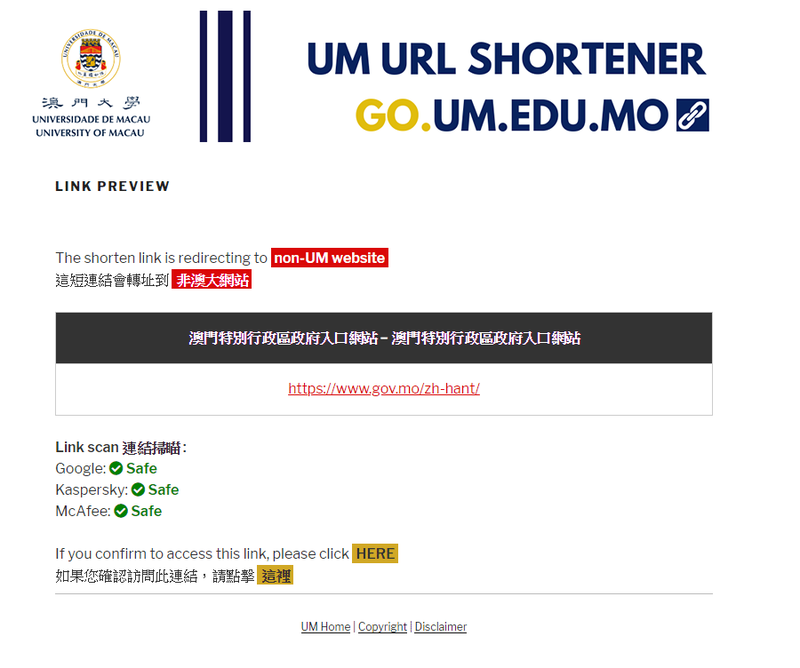 If the shorten link is redirecting to non-UM website, a “link scan” is first proceeded before redirection and the scanning result will shown on the link preview page. The target link is scanned by 3 public service providers: Google, Kaspersky and McAfee.